On our way from Oneida, I was passing through the city of Rome to get home to Utica, and we drove by Fort Stanwix. Oh, the temptation! I was in a hurry to get home (it was getting late) but we couldn’t resist stopping. 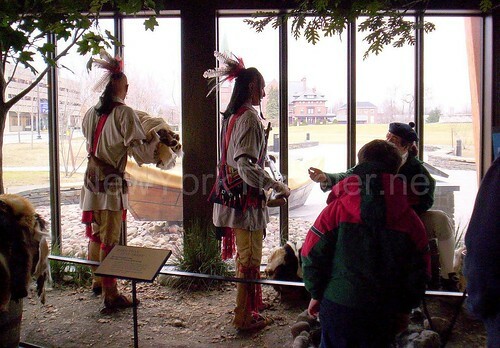 We have been to Fort Stanwix in Rome so many times. We absolutely love it. 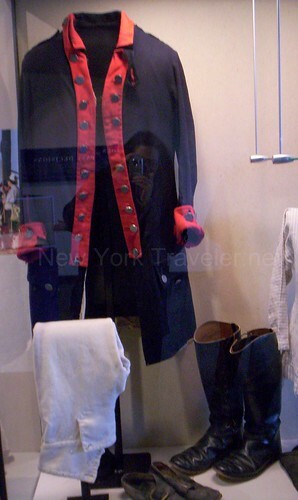 Although we had no time to see the Fort again, we did make a speedy run through the Marinus Willett Visitor Center. MWVC is great– the State has done a really great job; plus, it’s free! Every employee I have ever talked with is incredible. They are polite, cheery, knowledgeable, neat, and they give you tons of free literature and maps. Today I had the pleasure of speaking with Willie Scott at the front desk. 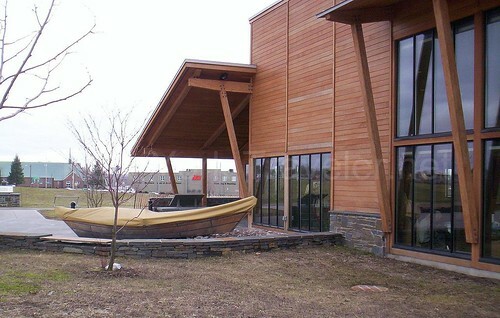 Wow, that guy deserves a raise– a superb greeter if I ever knew one. The Center is rather small, as far as centers go, but it is a terrific supplement to the Fort. We entered the Gift Shop to browse the very nice selection of books, games, and other knick-knacks. 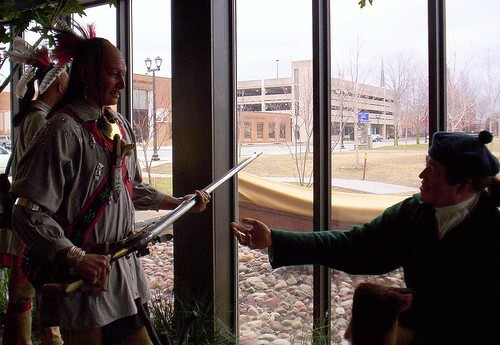 The area also has a nice display of life-size Indians and a bartering fur trader. Genuine furs of fox, bear, deer, mink, and beaver sit on a genuine barrel for kids to feel. The hallways are filled with a cluster of multimedia presentations: touch-screen maps with narrative; interactive video biographies of key players in early America; videos; a table of wooden blocks to rebuild a model of the Fort; a large Founding Fathers puzzle to work on; a theatre presentation of the Fort’s historical significance in the Revolutionary War. We sat down to watch the movie, which was very well done. We recognized a few faces in the movie, too (previous park employees we had befriended on our past visits). 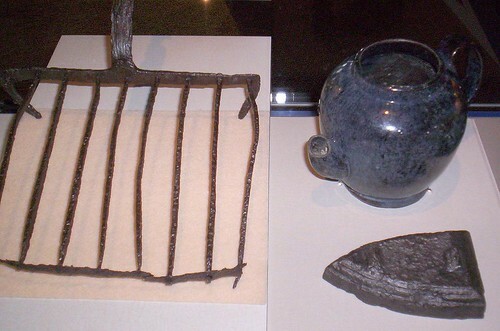 Throughout the Center are displays of early American tools and goods. 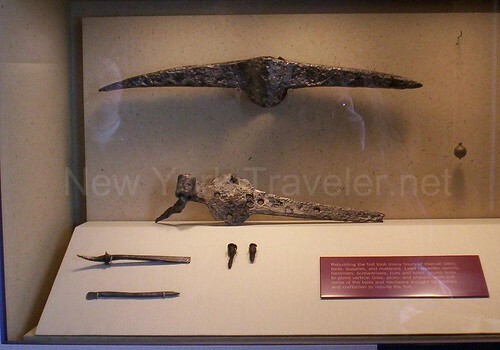 In the 1970’s, when the State decided to restore the Fort, many artifacts were found during the archaeological digs. They have been preserved in the glass cases. 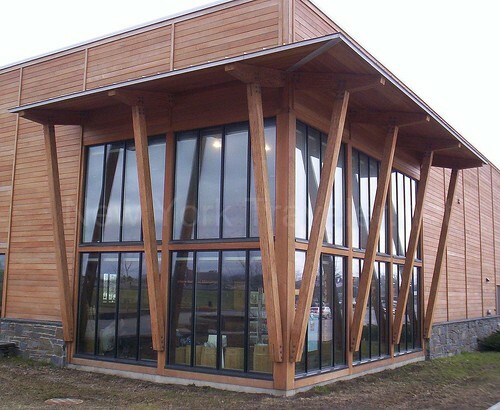 It looks like they did a great job with that Visitor Center. The information about the siege was interesting! Hi there! Love your sites! Very interesting reads indeed. BTW: I added your 101th to the list. LOL! Hello, Daisy! I didn’t know cats were interested in sieges. 😉 Thanks for your comment.